We are manufacturers of FRP Cable Tray. FRP cable trays and GRP Cable Tray since the time of our inception. Our manufactured trays will work for almost eight to ten years after installation. It offers unexpected quality and generally more expensive than other similar normal products. Today, customers are focused more on quality than prices. This is the reason they prefer Satyam India where quality range of FRP and GRP cable trays can be available at most affordable prices. Our wide experience and deep domain knowledge enable us to deliver customized product range based on your needs and specifications. This is our continuous efforts and dedication only that enable us to cater variety of needs of our clients. Our products can be availed in multiple sizes and dimensions. They are manufactured using Pultrusion automated process where scrap loss is almost negligible. 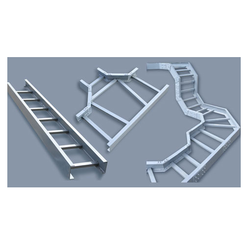 This FRP ladder type cable tray is manufactured inputting optimum quality fiberglass material in compliance with ISO 9001:2008 standards. The offered FRP ladder type cable tray is flourishing in the industries for its matchless strength and consistent work finish, thanks to the team of engineers who works dexterously to accomplish the high quality level in whatever they manufacture. 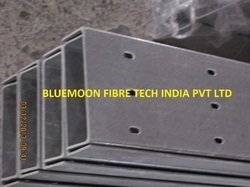 This FRP ladder type cable tray is stronger than steel and performs extraordinarily under demanding environments.Other than, light weight, corrosion resistance, fire retardant, easy installation, non magnetic, temperature resistance are some of the significant advantages that can be reaped by availing this FRP ladder type cable tray at the budget friendly rates.We as a manufacturer of FRP ladder type cable tray has made it available in a wide variety of specifications and also specialized to develop as per specification given by the clientele, checked former the delivery to ensure its impeccability, rigorously demanded in chemical plants, oil and metal refineries, and water treatment plants for its matchless durability and excellent endurance against harsh environments. We are offering FRP cable tray of control cable application. Our FRP cable support systems are ideal for locations where the metallic systems get easily corroded (Iron forms rusty layer and Aluminium makes white or silver greyish patina). Our FRP cable ladders and FRP cable trays are made on fully automated heavy duty plant. Our cable trays meet stringent Fire retardant requirements. Our cable support systems are available in two types- Ladder cable tray and perforated cable tray. These are good replacement of those cable trays that easily get corrode, spread heat and erode. 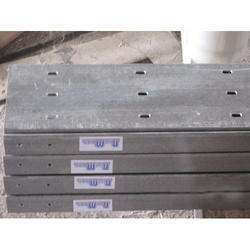 FRP Coupler Plates, FRP Expansion Plates , FRP Angle Plates, FRP Adjustable Splice Plates (Vertical & Horizontal), FRP Hold Down Clip, FRP/SS Hold Down Clamp, FRP Cover Clamps, Trefoil Clamp, Cable Ties, Blind Plates, Divider Strips, SS Fish plate and Hardware. FRP cable trays are manufactured for a comprehensive array of cable management requirements. Created from glass armoured thermoset fire resistant resins, our each cable support system is designed and manufactured with sturdy metals, mostly steel and aluminium, excluding their corrosion, electrical conductivity and weight problems. FRP GRP cable trays in varied sizes along several fittings like bends, tees, cross, reducers, etc. for every large or small project. Leading the industry with extensive collection of covers and fittings, Aeron has become premium FRP/GRP tray manufacturing company in India. We also offer cable duct fittings to our esteemed users. We are leading of the leading manufacturer and exporter of FRP ladder type cable tray, a most innovative and economical solution concerning strong cable support management system, sharing unsurpassed potency to withstand in corrosive environments. The 30 years long experience in the manufacturing thermoplastic composite is a reason behind our ability to introduce innovation at best possible rates in the market. This FRP ladder type cable tray is manufactured inputting optimum quality fiberglass material in compliance with ISO 9001:2015 standards. The offered FRP ladder type cable tray is flourishing in the industries for its matchless strength and consistent work finish, thanks to the team of engineers who works dexterously to accomplish the high quality level in whatever they manufacture. Bluemoon FRP cable support systems are ideal for locations where the metallic systems get easily corroded (Iron forms rusty layer and Aluminium makes white or silver greyish patina). GRP cable ladders and GRP FRP cable trays are made on fully automated heavy duty plant. Our cable trays meet stringent Fire retardant requirements. Our cable support systems are available in two types- Ladder cable tray and perforated cable tray. These are good replacement of those cable trays that easily get corrode, spread heat. Bluemoon GRP FRP cable trays are manufactured for a comprehensive array of cable management requirements. Created from glass armoured thermoset fire resistant resins, our each cable support system is designed and manufactured with sturdy metals, mostly steel and aluminium, excluding their corrosion, electrical conductivity and weight problems. 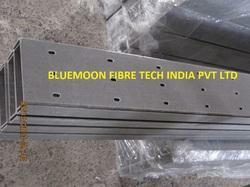 Bluemoon supplies FRP GRP cable trays in varied sizes along several fittings like bends, tees, cross, reducers, etc. for every large or small project. Leading the industry with extensive collection of covers and fittings, Bluemoon has become premium FRP/GRP tray manufacturing company in India. We also offer cable duct fittings to our esteemed users. Looking for FRP Cable Tray ?